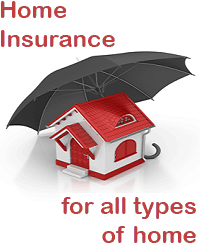 We provide personal service delivered by knowledgeable staff who understand property insurance. We don’t charge administration fees for mid-term policy adjustments. Some insurers charge up to £75. We reward loyalty by discounting renewal premiums. Many insurers do the opposite and charge you more at renewal. Free cover for freezer food (up to £500). Free cover for money and credit cards (up to £500). New for old cover on most items. Alternative accommodation costs in the event of fire, flood etc. £2 million cover for your legal liability as owner of your home.